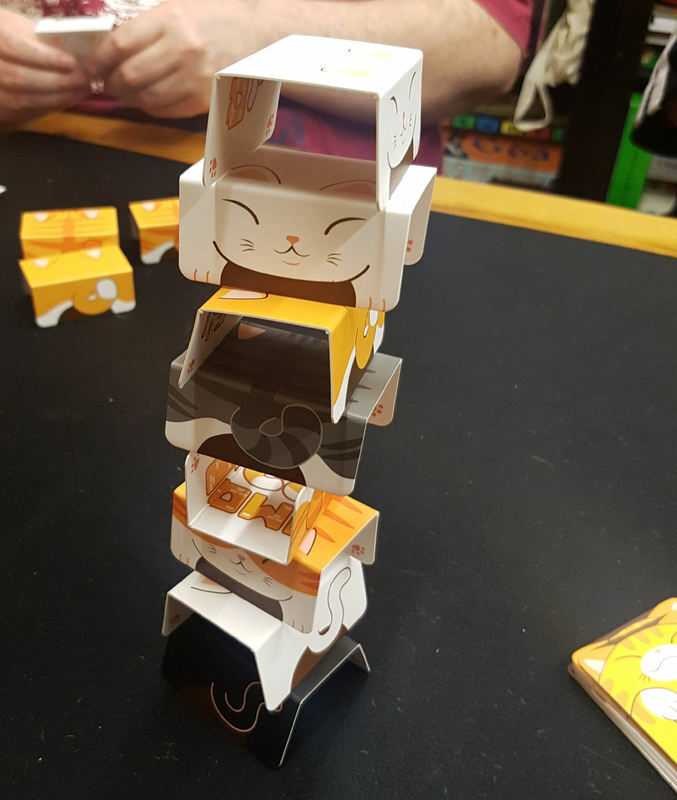 Cat Tower! 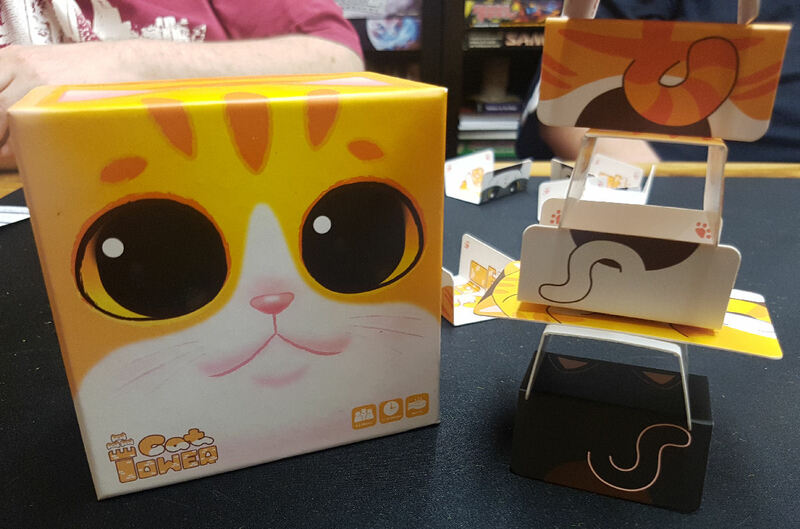 Reverse Jenga with cats. 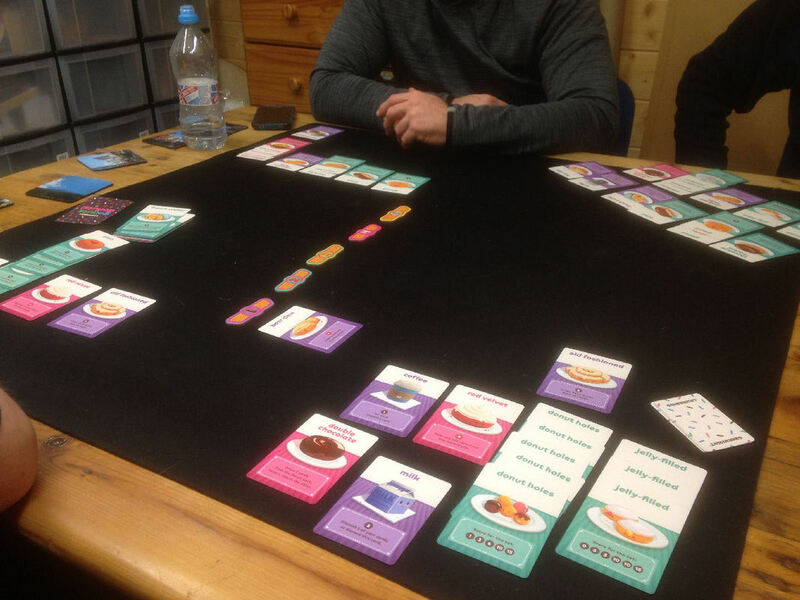 Silly little game but quite funny.It rounded off last night's game night nicely. ​Considering I bought this game just for the box art I was pleasantly surprised. 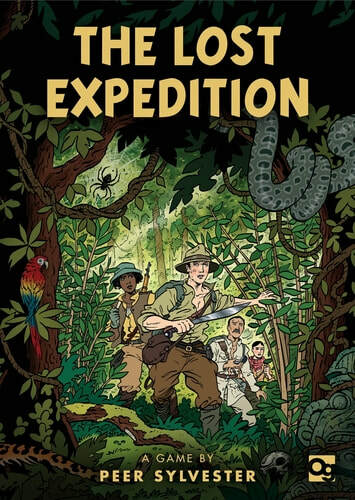 We started with the Lost Expedition. 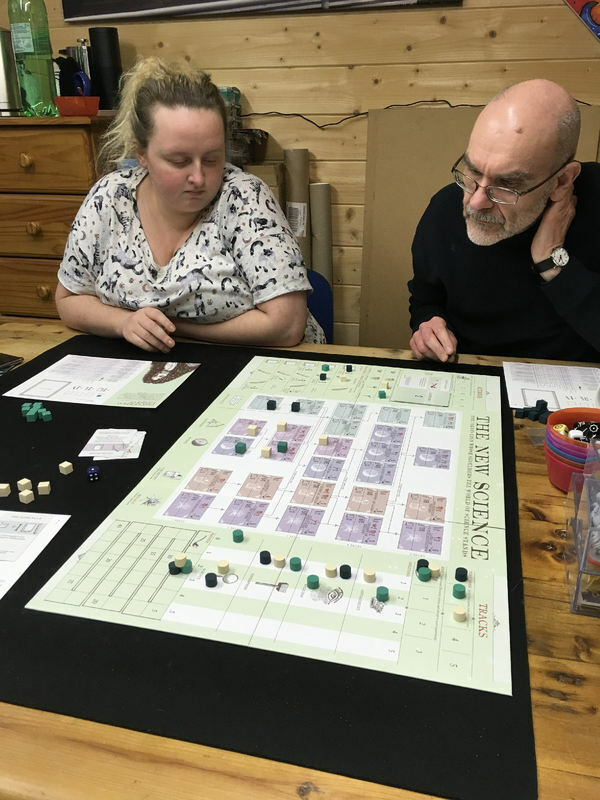 A cooperative game where we were looking for the lost city of Z. The terrors of the Amazon killed us midway through the second day even though we made good progress towards our goal. Excellent fun. Followed by the Pursuit of Happiness which I love. 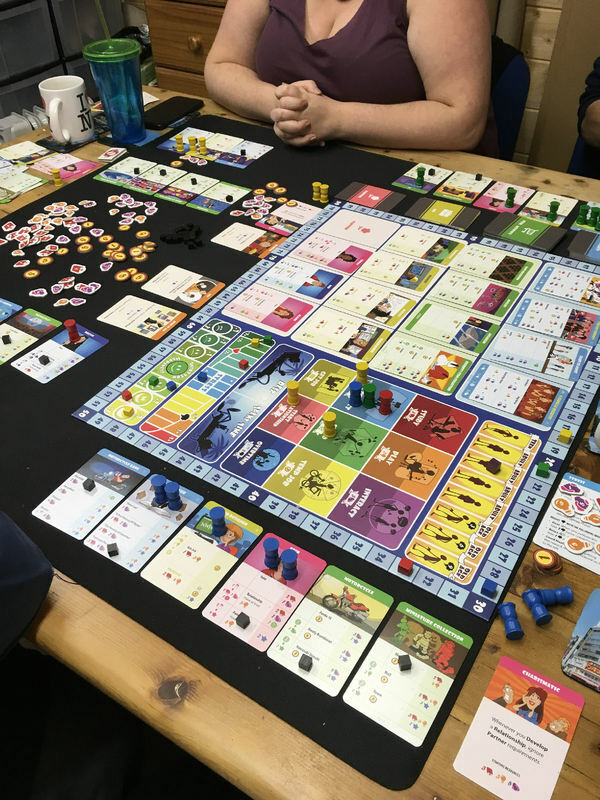 A game of life where you build a narrative of your life as you go. I died as soon as I reached old age and came last. Michaela who'd been the President and retired early, outlived everyone and won easily. 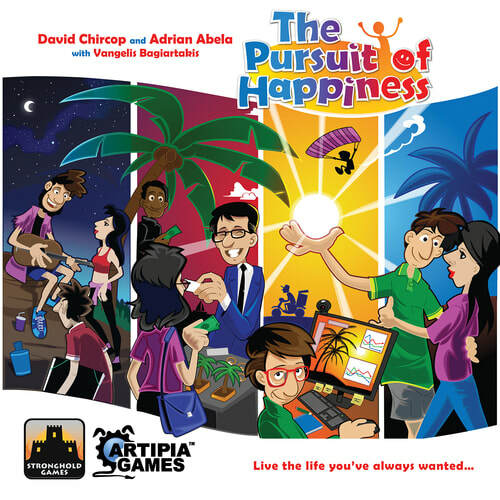 Another game of Pursuit of Happiness where I succumbed to old age immediately (again). At least this time I was born rich. 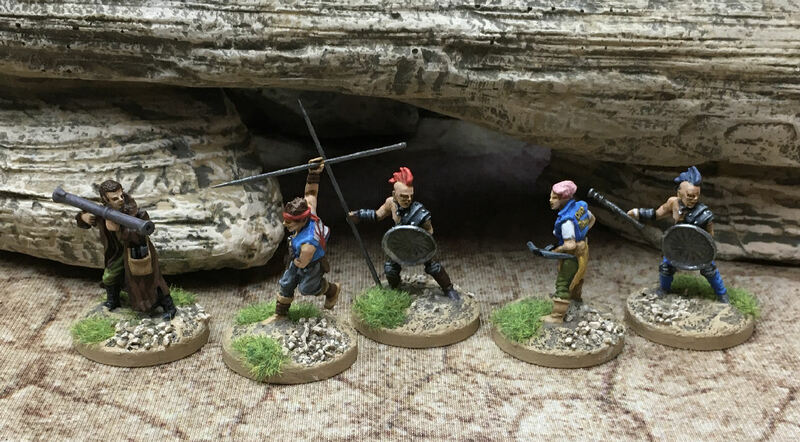 This game is all about the narrative you build as you play. Often I find this guides my choice of actions with the best option for winning losing out to the best story option. 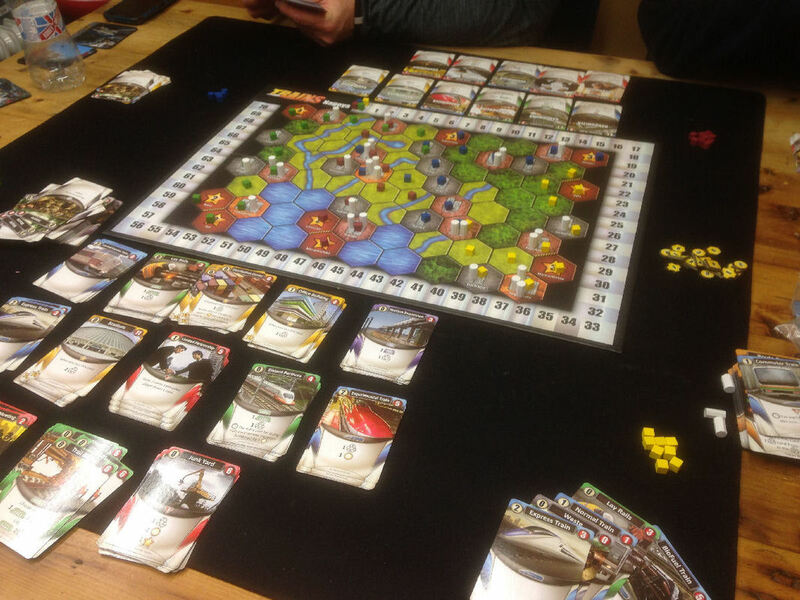 ​Go Nuts for Donuts and Trains, Rising Sun made up last night's board game selection. I won the Donuts game, Karl won the Trains game. 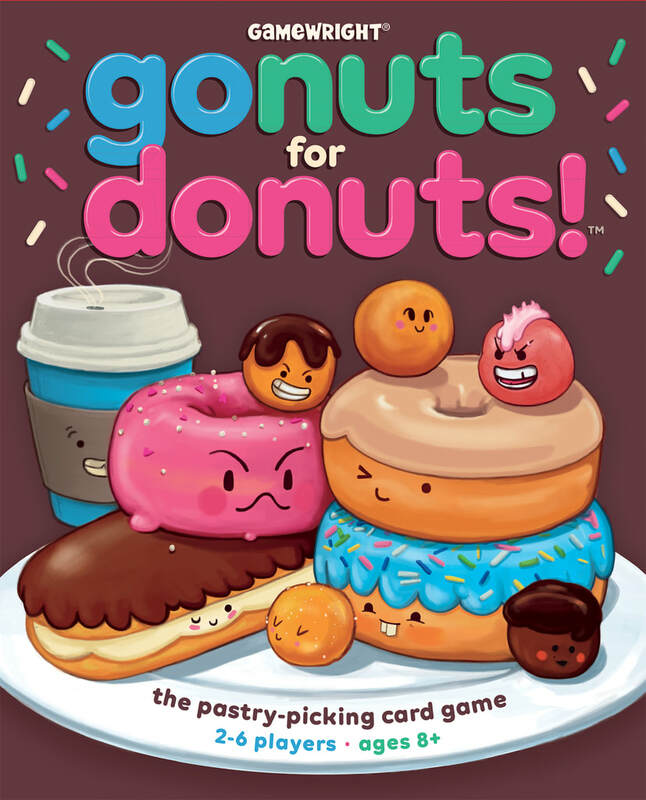 Go Nuts for Donuts is a blind bidding game where you need to read the other players and guess/decide what they're likely to do as if more than one person chooses a particular card no one gets it. 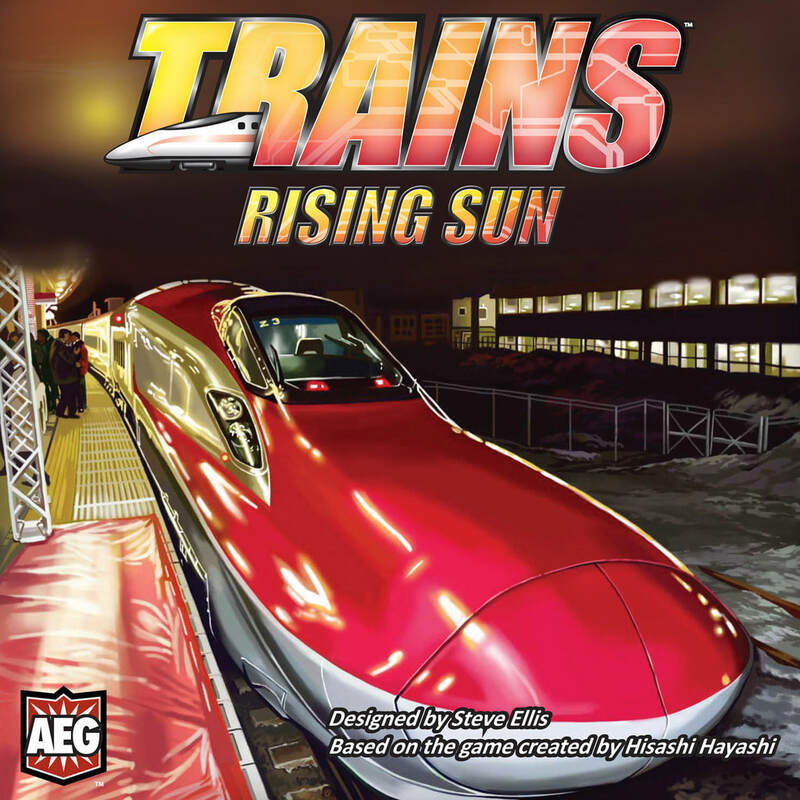 Trains is a deck building game with track laying as well. Two wins for me in the mechanics department. The components are top notch too. 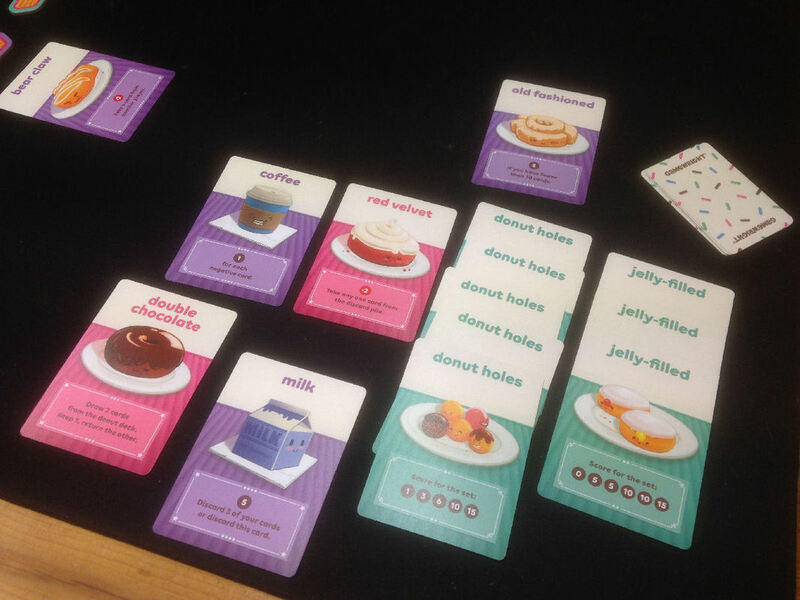 Another couple of games of Go Nuts for Donuts, this time with the bonus bacon cards that arrived from America. I lost both games of course. We also tried The Lost Expedition again and were close to the hidden city when Isabelle died and we had to eat her for food. It all went a bit downhill from there and we perished entirely soon after. Another outing for Pursuit of Happiness last night. This time I won. (Probably because I had a huge boat, people with huge boats live longer- truefact). 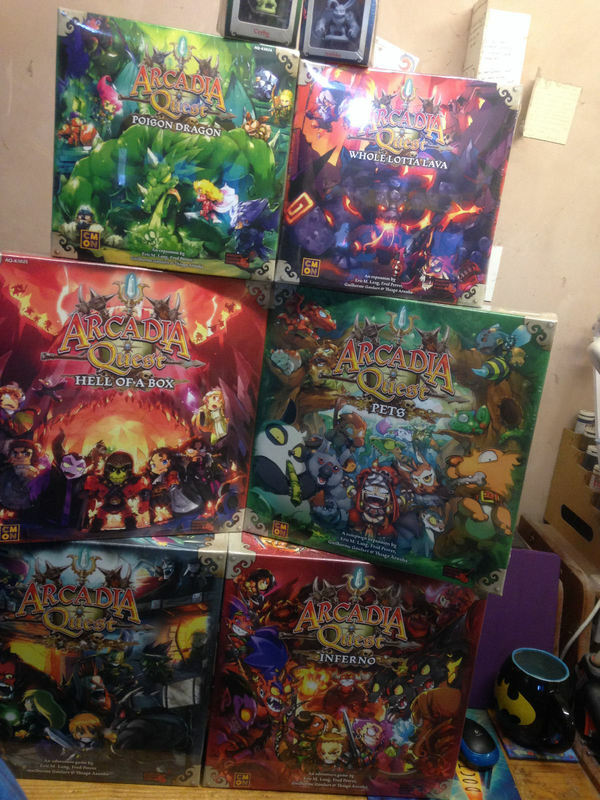 Earlier this year my Arcadia Quest Kickstarter bundle arrived and last night we finally got it to the table. We played two scenarios, I won the first and Mark won the second. In between games our heroes collected their rewards and levelled up. You can see my heroes' guild card filling up with phat lewt as the games progressed. 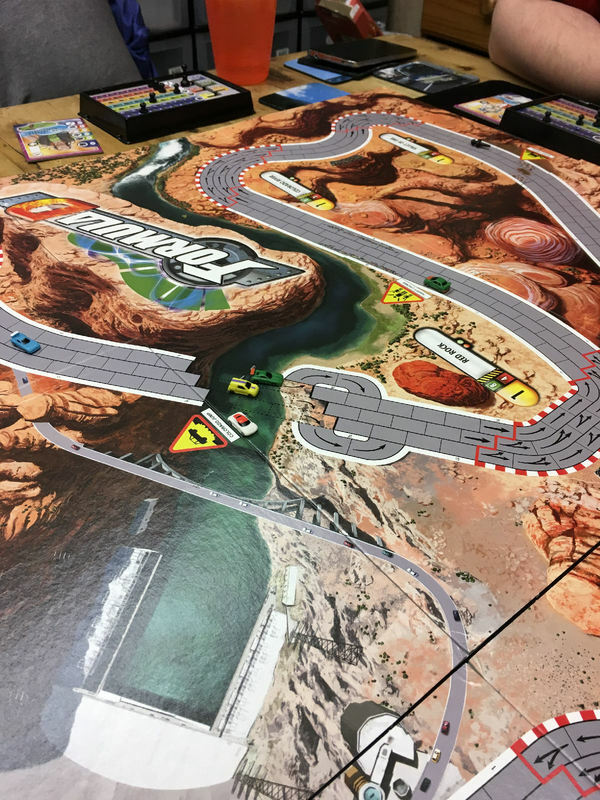 Saturday's games: Go Nuts For Donuts which I lost badly, Formula D using the Nevada track with rock falls and collapsed track. I managed to smash into Michaela as we both failed the canyon jump and knock her out of the race. 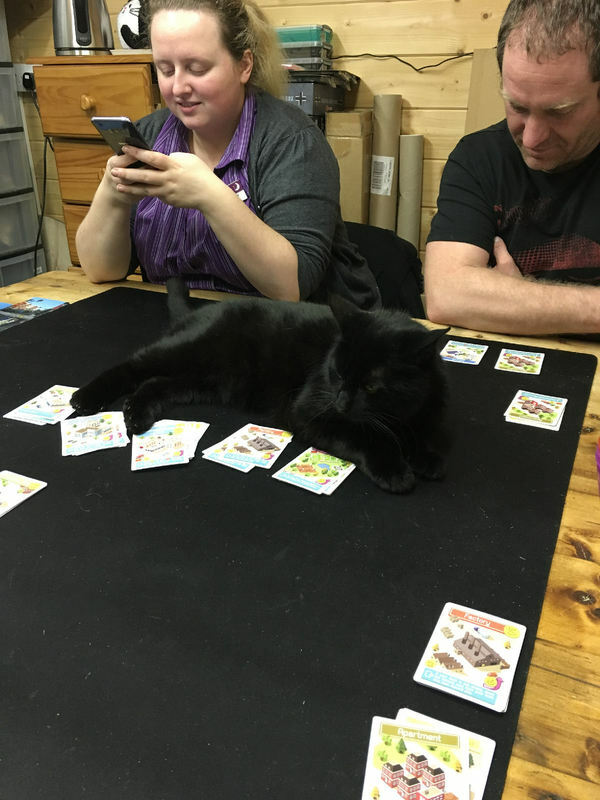 I finished second behind Giro eventually, and Machi Koro where I was so far behind everyone else I may as well not have played. All great fun! 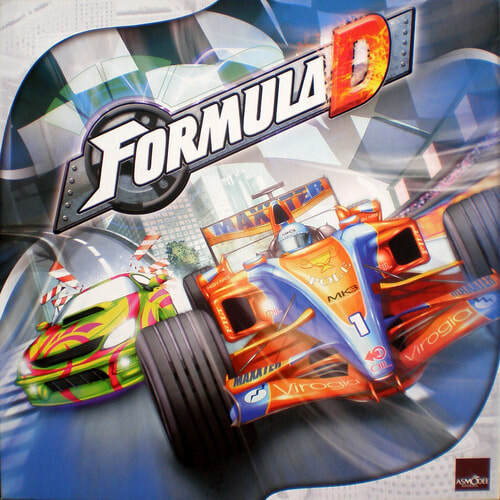 Formula D is an upgrade for me from the old edition which I played so much that the map came apart. The new edition has smart new player consoles and individual drivers with different skills and abilities. 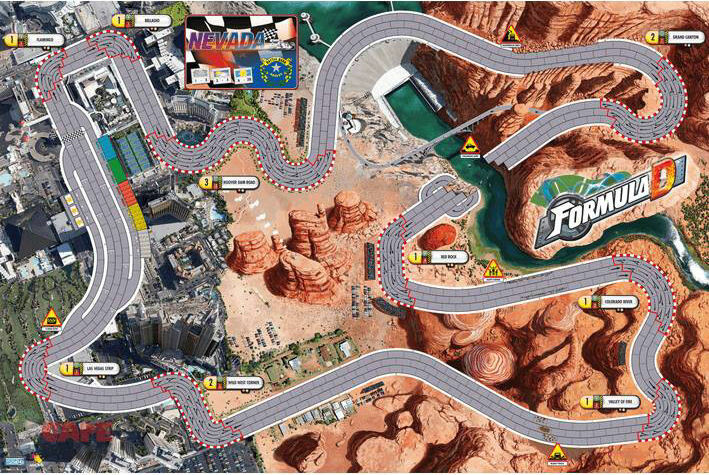 The biggest change is that half the tracks are normal racing tracks like the old edition and half are 'arcade' tracks like the Nevada one here which contain hazards. 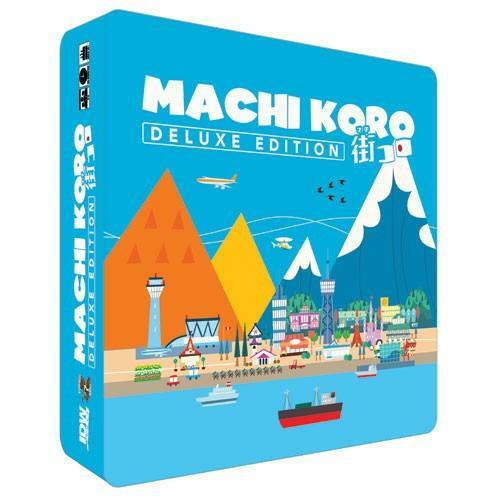 Machi Koro is a game about city building. We love it. 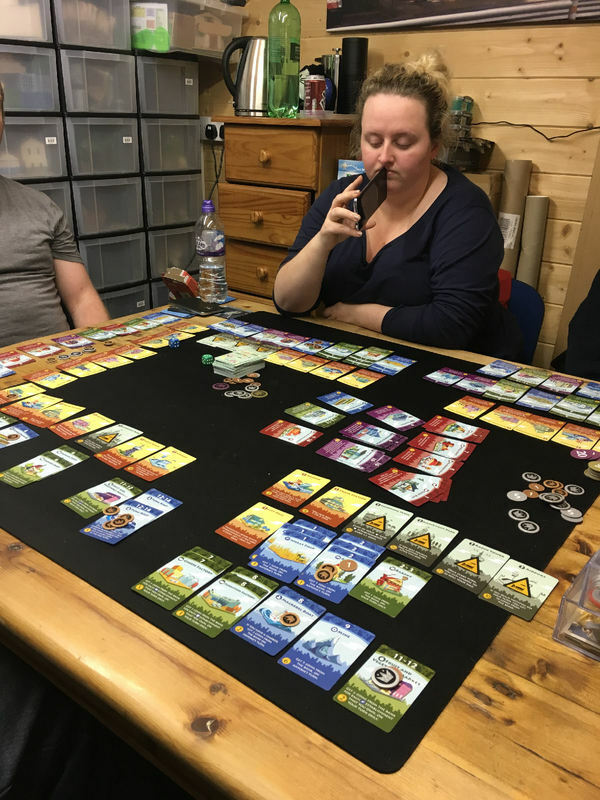 The dice rolling puts some people off and occasionally there isn't much to choose in the building options but since everyone's in the same boat we've never had a bad game. 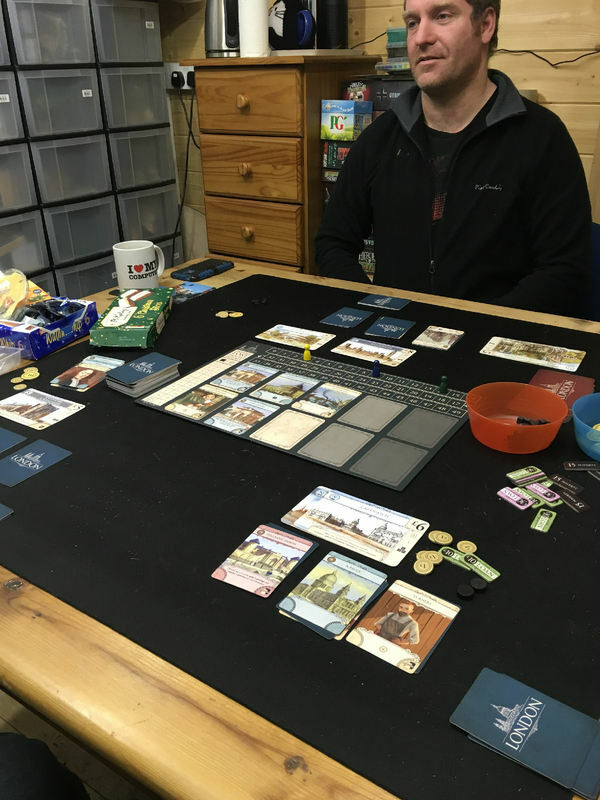 We play with the Harbour expansion but don't use the Millionaires' Row expansion. 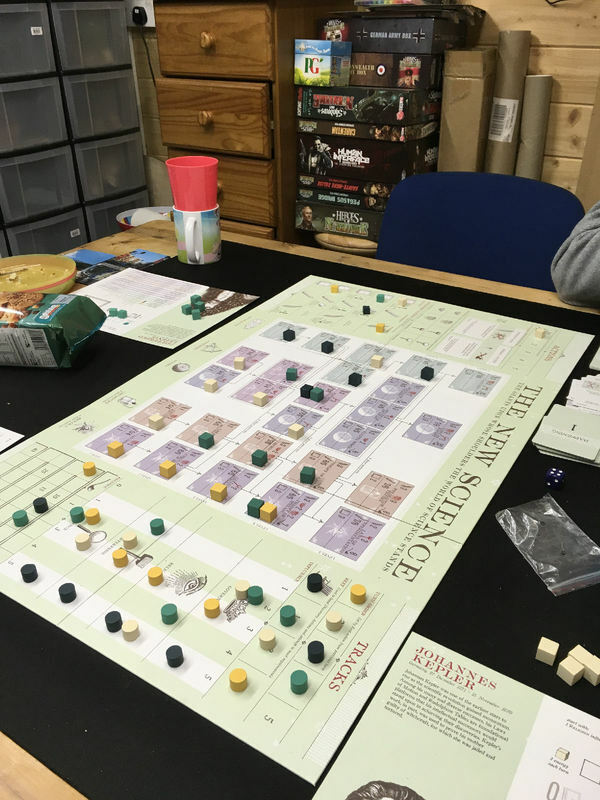 A three player game of The New Science last night. 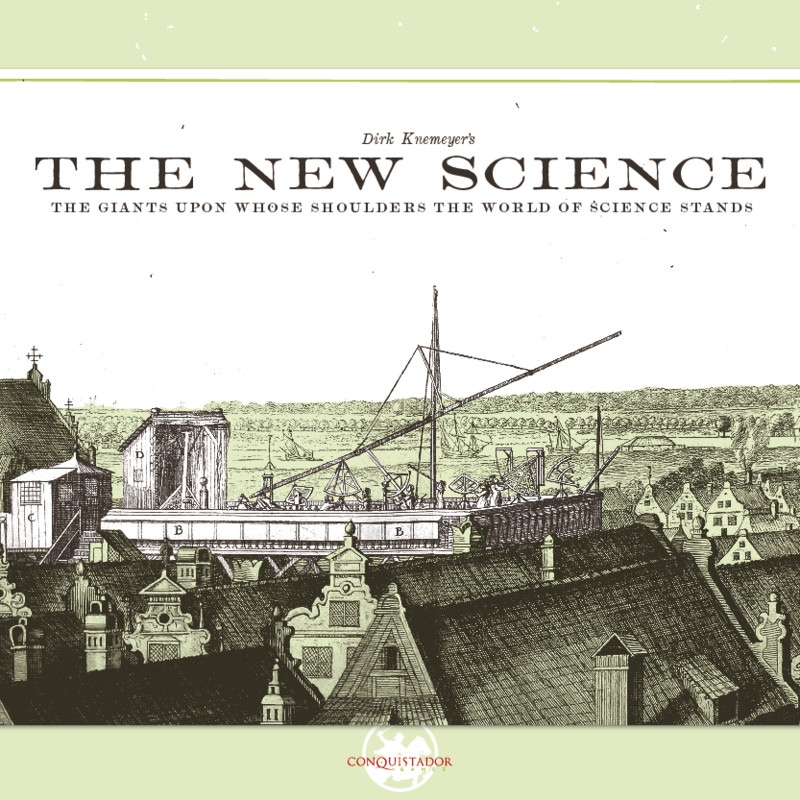 A lovely game about making scientific discoveries in the 17th Century. 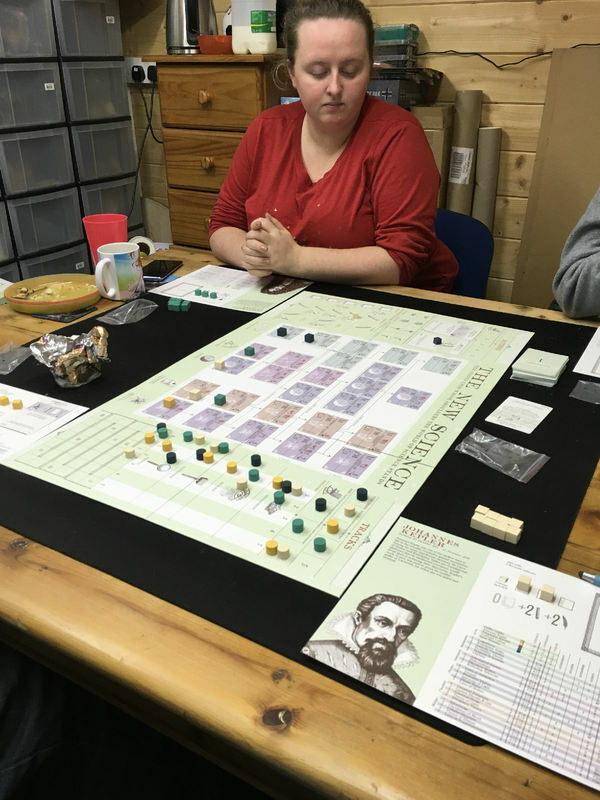 I won as Johannes Kepler, beating Mark's Sir Isaac Newton and Michaela's Gottfried Leibniz by a narrow margin. 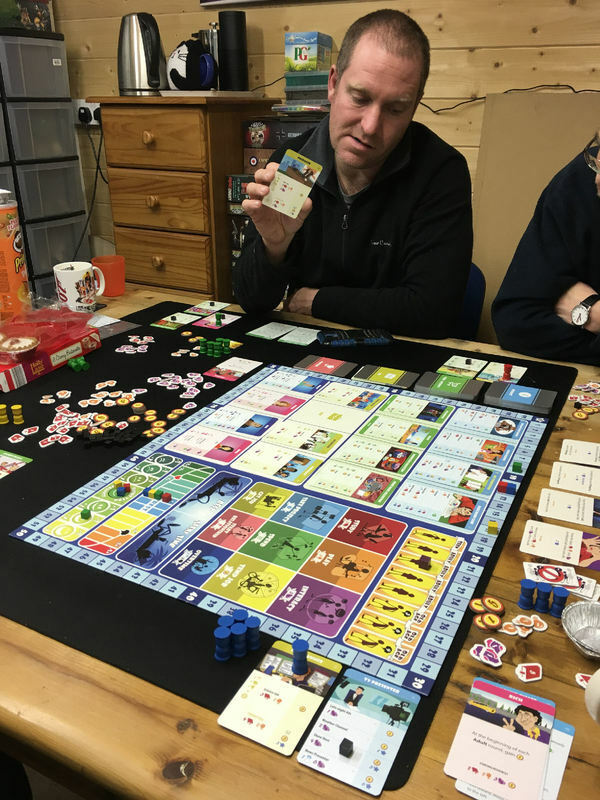 This is essentially a worker placement game although your workers are time markers. The feel of the components compliments the strong theme and the subject matter is appealing. 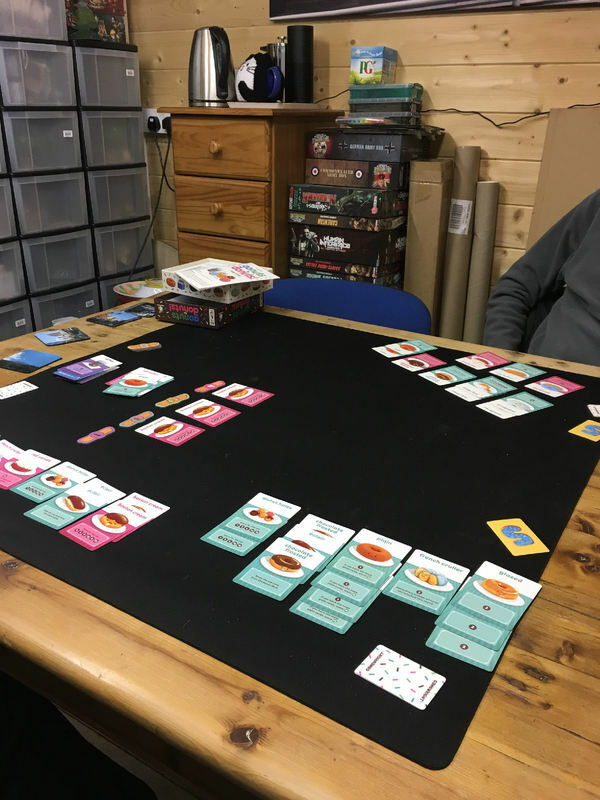 ​A four player game of The New Science last night. 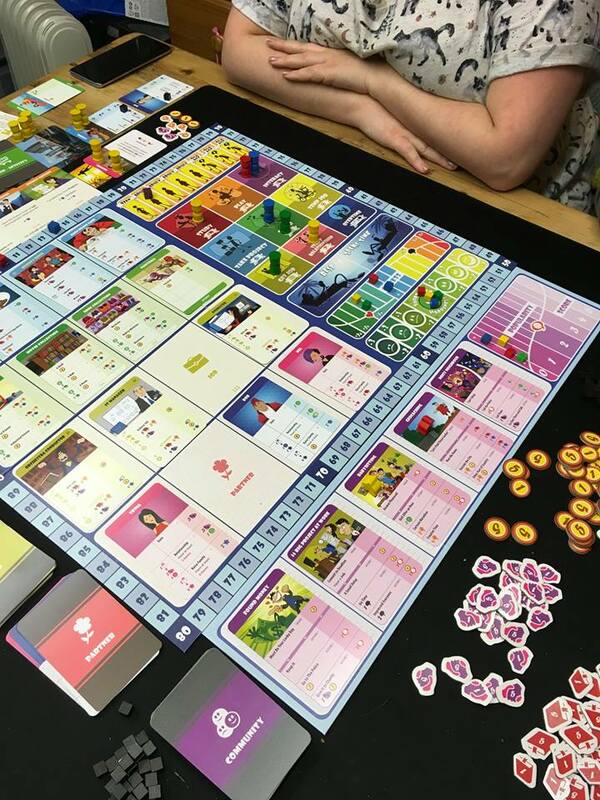 Michaela had to leave for work before the end because a four-player game is a lot longer than a three player game. 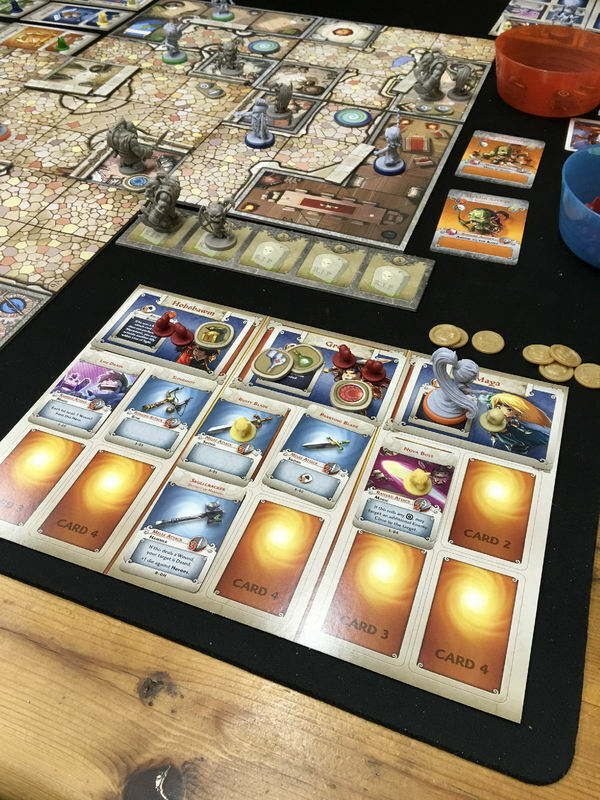 Although there are increased options each turn it requires more thought to choose the best. I won with 43 points (the scoring track only goes to 40 to give you an idea of just how awesome that is). 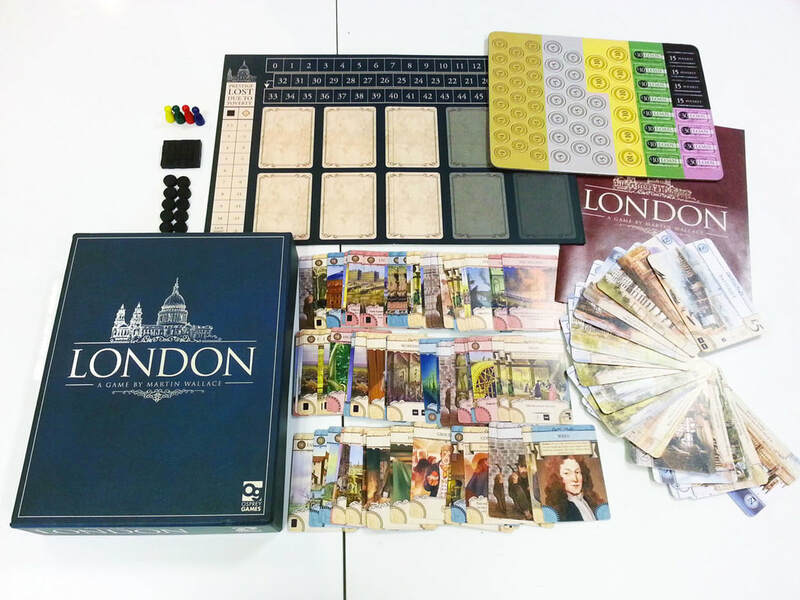 Last night's games were London (2nd edition) which I bought on a recommendation. 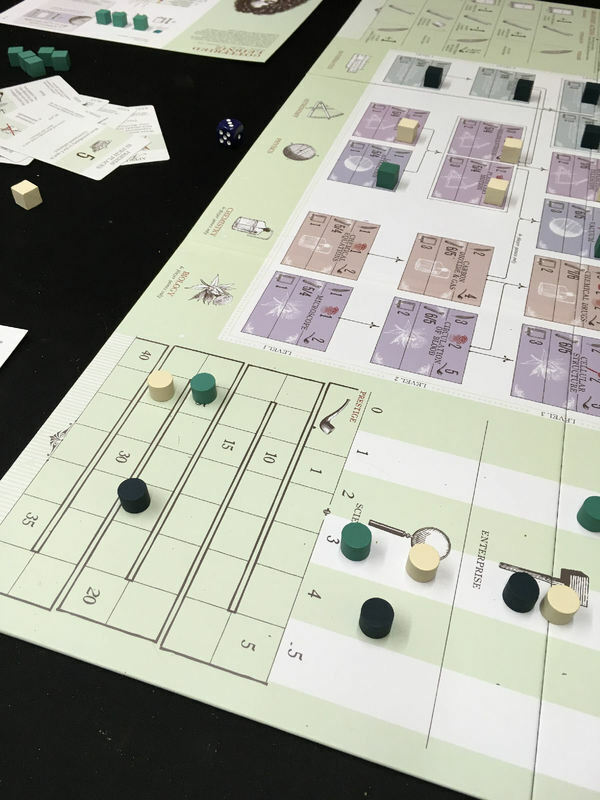 It's a lovely game about rebuilding London after the great fire from 1667 to the mid-1800s. I came last in our three player game which Karl won. I was swamped by paupers early on and couldn't build enough prisons to get rid of them. 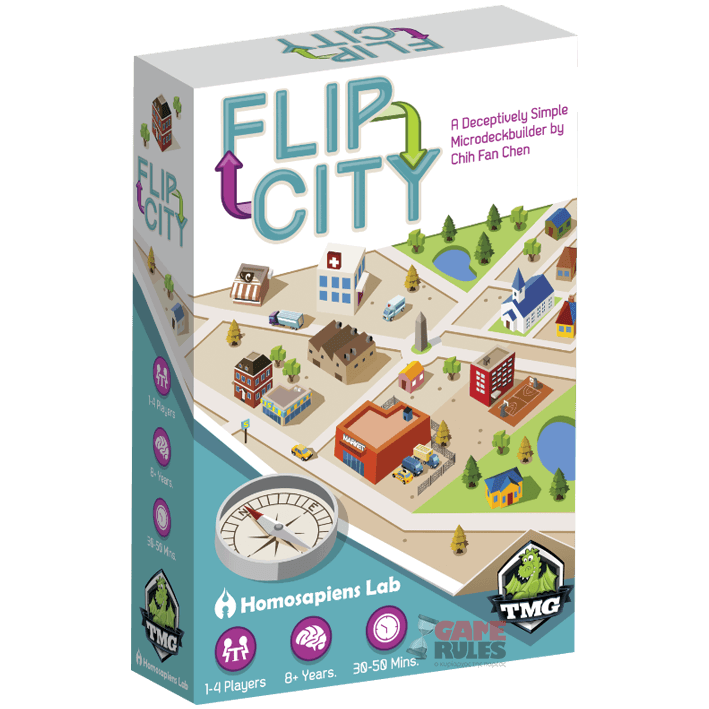 We followed this with Flip City a micro deck builder with double-sided cards about building a modern city. I won this one. It's a decent game but not as thematic as either London or Machi Koro. The cards look nice though and Felix obviously felt compelled to help out. 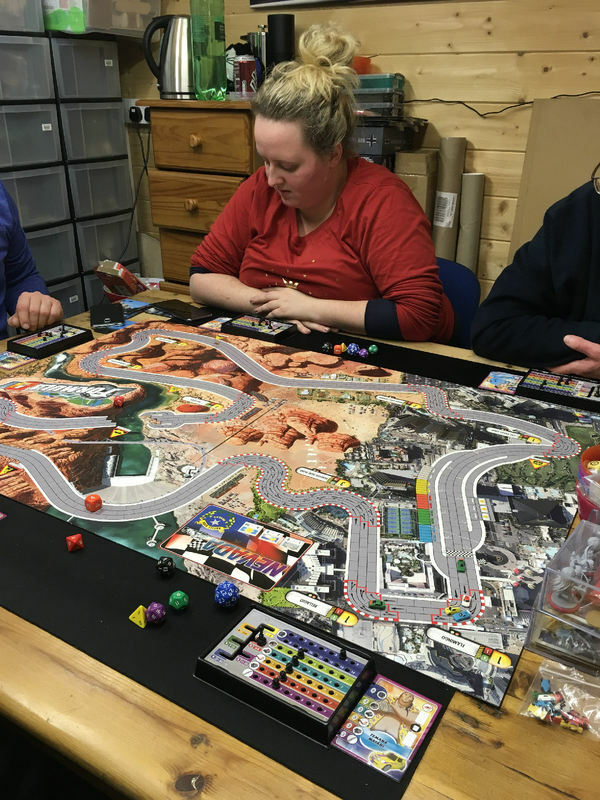 We had two games night's this week, Friday and Saturday. 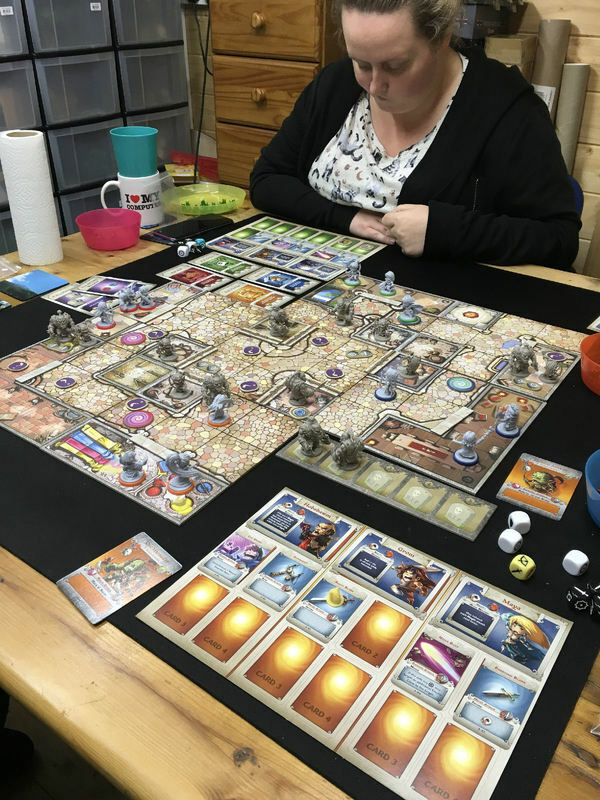 On Friday we played London again and Karl won (again) so obviously, the game is flawed in some way. I still think it's brilliant though- next time I'll try harder. 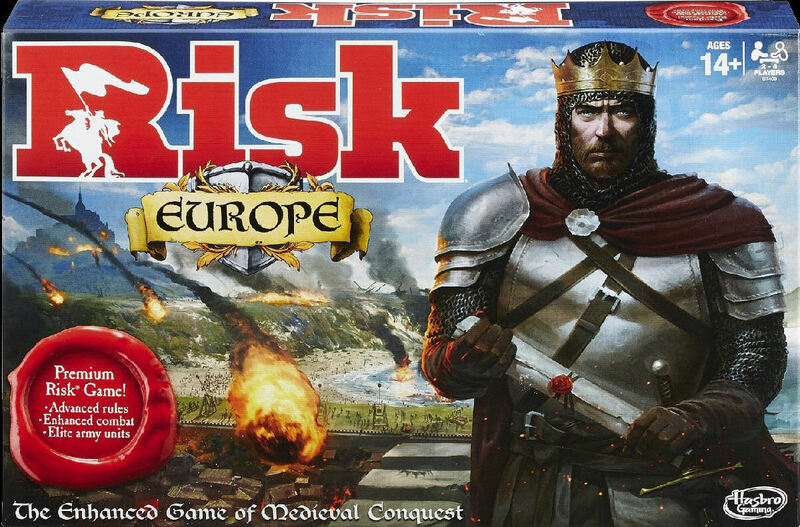 Saturday saw two games of Risk Europe, which isn't Risk but has been named by marketing people no doubt. 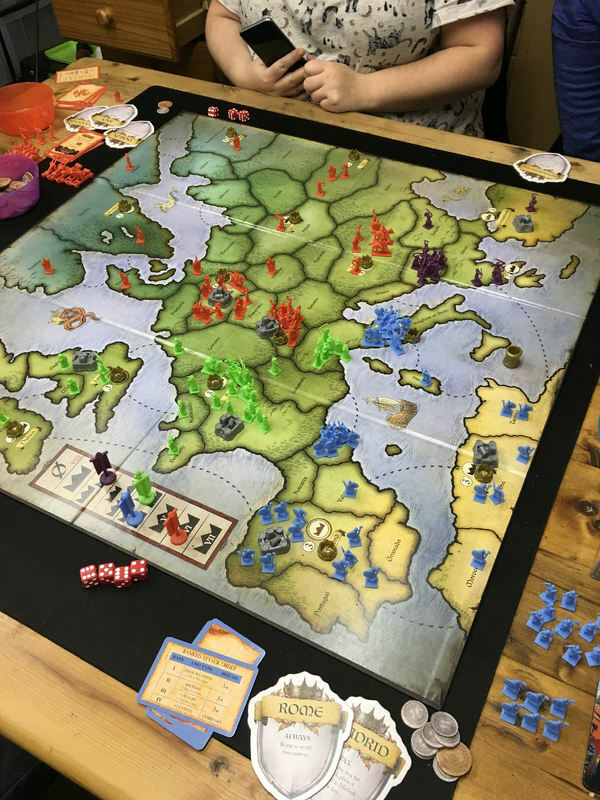 It's a game of area control and conquest that would sit well as part of the old Gamemaster series from Milton Bradley (Axis and Allies, Shogun, Conquest of Empire etc). 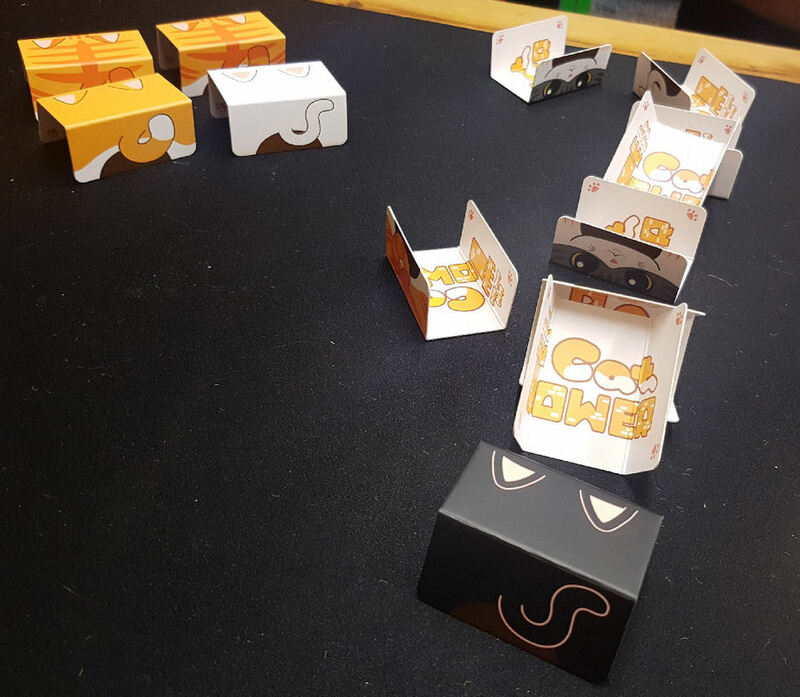 Lots of plastic and simple gameplay. Fantastic value at £12.49 from Amazon. Well that's 2017 done, let's hope 2018 is as good. 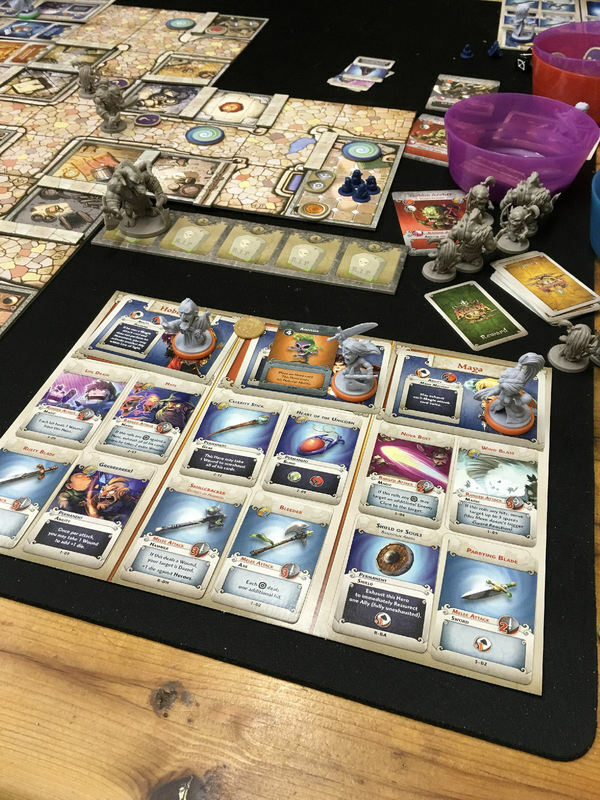 All the games we played this year with the exception of Machi Koro and Formula D were new to us and I think we did pretty well with our buying choices, none of them were duds and most of them got multiple plays. All of them have ended up on the games shelf, none were relegated to the sales pile.